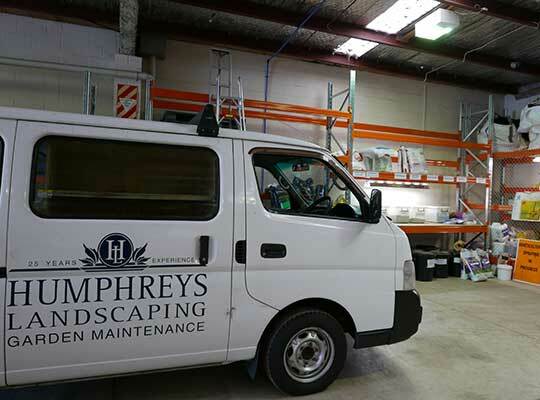 Auckland-based Humphreys Landscaping provides a full landscaping service, from landscape design, to construction and maintenance. 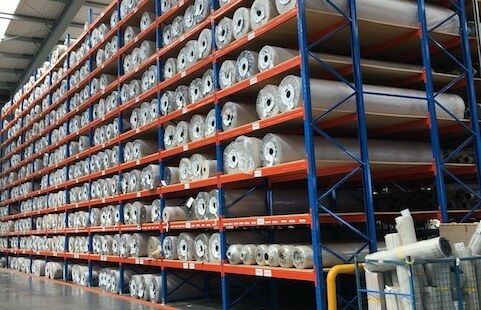 The project encompassed a highly-customised storage solution for this landscaping company to accommodate all their supplies, from fertilisers to plants. 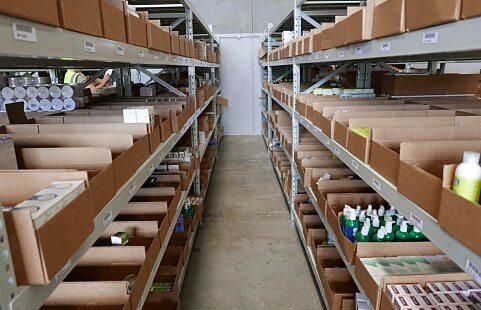 Work benches and storage lock ups needed to be included within the racking system. Our team worked closely with Humphreys from design through to consenting and installation. 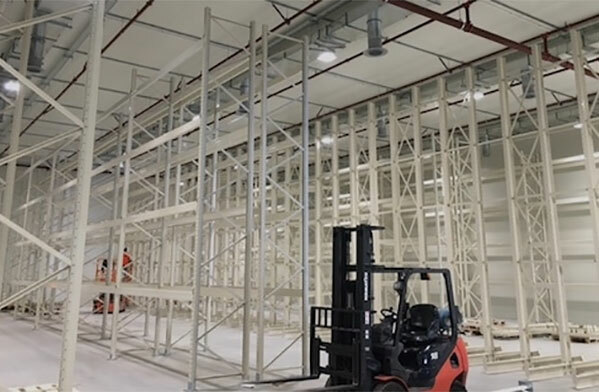 Humphreys needed pallet racking against the internal walls of its warehouse, using its full height to maximise storage and keep the floor clear for vehicle and trailer lock up. Attention to detail was paramount – to create a place for everything, with everything in its place. 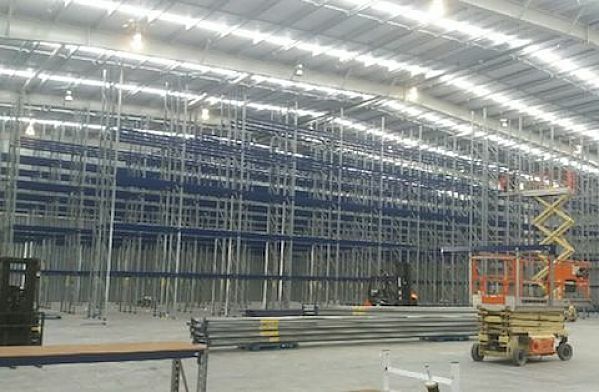 We achieved this for the client by designing a pallet racking solution with varying frame heights and beam lengths. 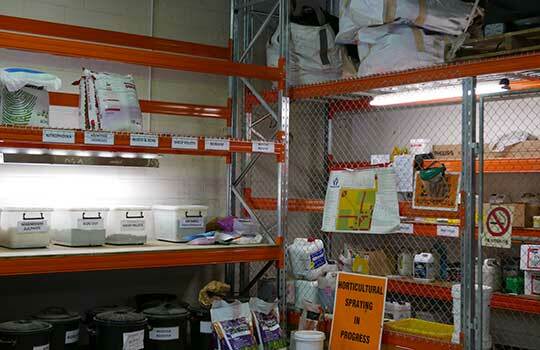 Wire mesh shelving was used to keep things clean and tidy, while plastic bins took care of bits and pieces, and clear labelling kept small parts easily visible. 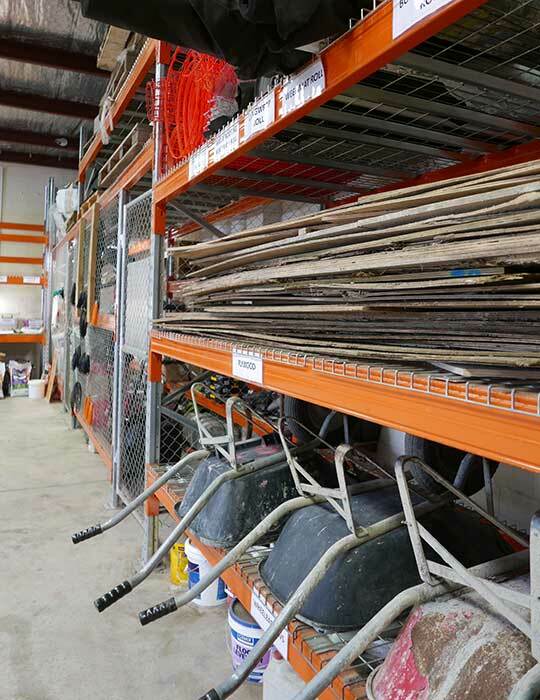 To integrate storage cages and benches, we used wider bays and longer spans between posts. 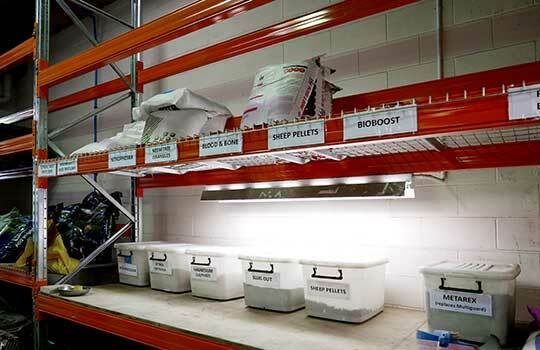 These were designed so that the strength of the racking wasn’t compromised, and the design remained within code. 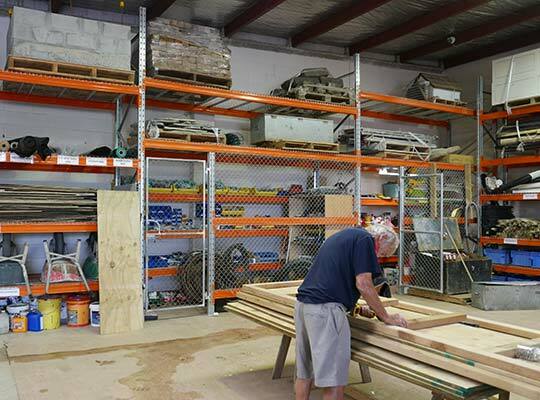 Owner Scott Humphreys was pleased with both the process and result.